In our latest science news update we ricochet from the deepness of space to the microscopic world of viruses. Also, an update on some of the recent posts on RicochetScience and a few picks from the editors. Each day our interns and editors choose current events across the sciences to feature on our FaceBook page. Here are some of the more popular posts from the past few weeks. How do mice ignore the stings of scorpions? The simply never feel the sting. We now know that this is due to changes in sodium channels – sound familiar? This is the same mechanism that is associated with congenital analgesia, a condition in humans that prevents individuals from feeling pain. Comets played an important role in the formation of our planet, and may have been responsible for the delivery of many of the compounds that allowed life to begin on Earth. We have been hyping the approach of Comet ISON (let’s hope for a good show!). The link below from Astronomy Magazine provides some really useful info on where to spot ISON later this month. Two recent articles highlight the development of new treatments that stop HIV from infecting host cells. Both of these articles are great resources for teaching about viral life cycles. 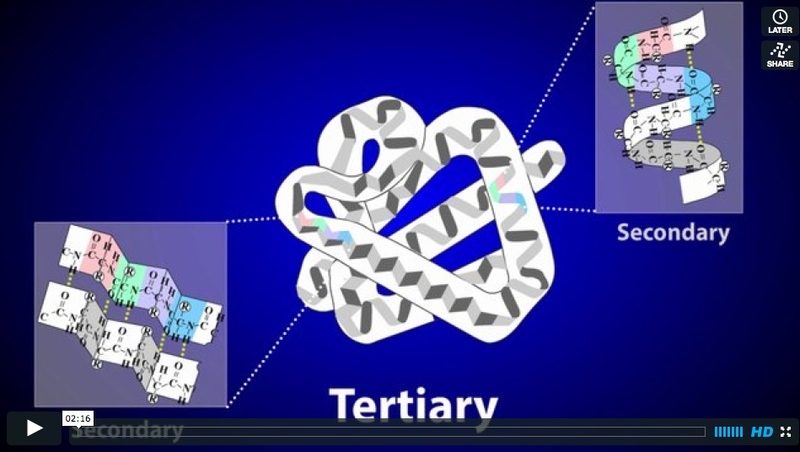 See our video on the Viral Life Cycle as an additional resource. To date, most exoplanets have been gas giants, or planets that are much larger than our Earth. However, astronomers using the the first Earth-sized rocky planet has been discovered using the Kepler space telescope. Unfortunately – we won’t be heading there anytime soon. Kepler -78b has a surface temperature of over 2,300 degrees Kelvin and races around its parent star in an 8.5 hour orbit.Still – the discovery demonstrates that we now have the technology to identify Earth-sized objects orbiting other stars. 3 new species of vertebrates, including the leaf-tailed gecko, shade skink (shown below), and blotched boulder frog have been discovered in northern Queensland Australia. This area is being called a “lost world” because of the fact that they may have been isolated for several million years. 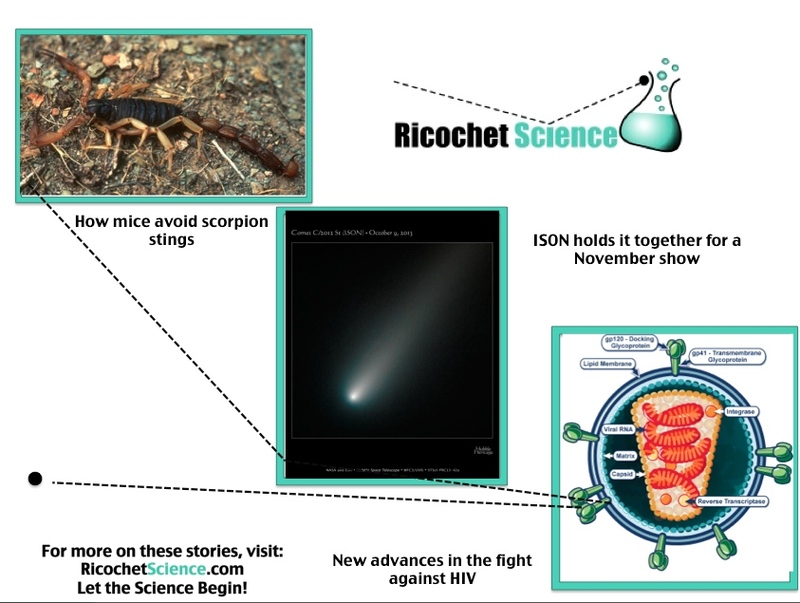 Here is a quick recap of some of the new articles and videos that have been posted to RicochetScience over the past few weeks. We added four new videos over the past several weeks. Three of these have to do with basic chemical principles (from atoms to the periodic table) and one on the structure of proteins. Why are we producing these? Simple, these are resources that we need when we teach our classes. They provide the students with a quick review of a topic, and allow the instructor to focus more time on the difficult topics. Each week are working to add more of these videos. If you have suggestions, please feel free to contact us. 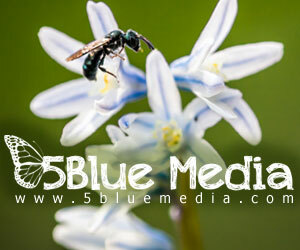 For a full list of our videos, visit our Vimeo page by clicking on the icon below. 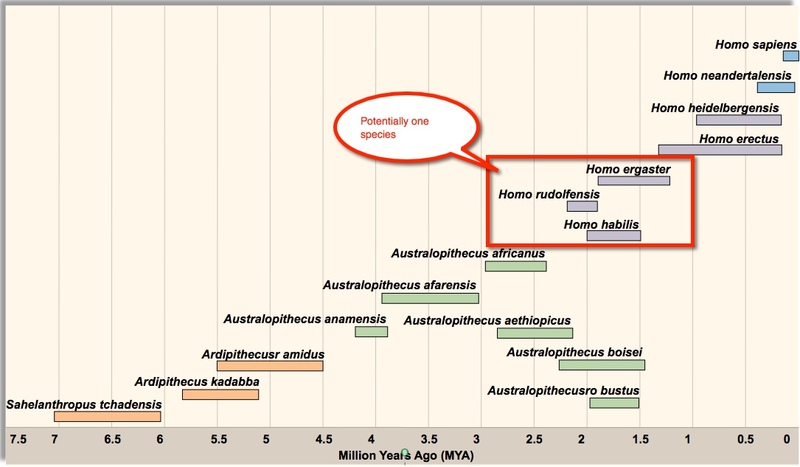 We added a new article this week (Revisiting Early Human Evolution) on the recent discoveries of fossils that are associated with early members of the genus Homo, and how this finding may change the content in the textbooks. For daily science news, follow us on FaceBook and Twitter.